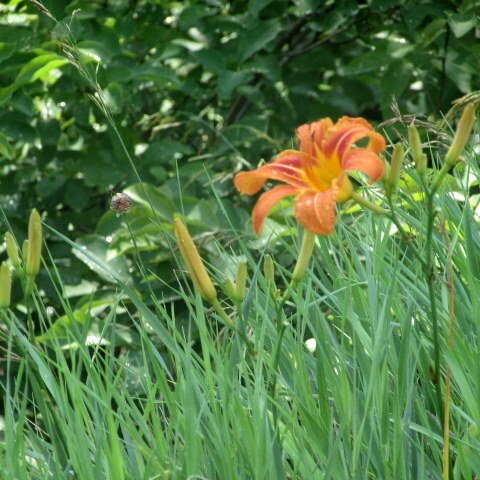 A lone tiger lily blooms in contrast against the greenery of its surroundings. Everything is green right now in central Pennsylvania. 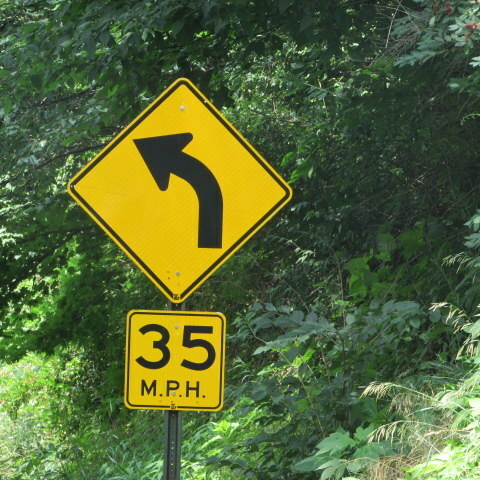 Because of this, normal traffic signs stand out even more than they normally do. I found the yellow against the green background very visually pleasing. I haven’t always lived here, but spring colors remind me of other places I have lived and make Central Pennsylvania one of my favorite places on earth. I love the beauty of new life.